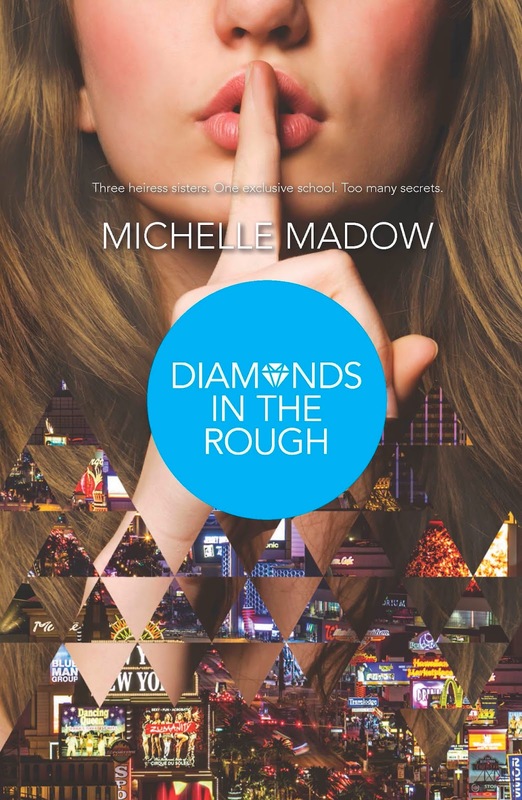 Michelle Madow: Book Birthday for Diamonds in the Rough! Book Birthday for Diamonds in the Rough! Today's the big day: The Book Birthday for Diamonds in the Rough, the second book in The Secret Diamond Sisters trilogy! I had a book release party on Sunday and it was so great having family, friends, and fans there to celebrate with me. Diamonds in the Rough is available anywhere books are sold, but here are some easy links for you: Amazon, Barnes & Noble, iBooks. If you live outside the USA, Book Depository ships for free worldwide! Also remember that the first book in the series, The Secret Diamond Sisters, is still on sale for only $4.99 on Kindle! Be sure to check my appearances page to see if I'll be doing a signing at a town near you. And on Saturday, November 1st at 4PM, tune in to the #ReadOn live show I'm doing on Crossroad Reviews, where four other authors and I will be doing a live Q&A! Congratulations Michelle! Can I get a link to purchase a signed copy from you please!